We live in an extraordinary land. Australia’s natural environments, and the wildlife that they support, are unlike those of any other place. Australia is home to more than half a million different species. Most occur nowhere else. Many are of remarkable antiquity. More so than any other factor, our natural environments define our country and make it distinctive. Our nature is an important part of our essence: it gives our lives definition, context, character and a sense of place. Individually, and as a society, we are shaped by this land and its character – by the bush, the outback and the sea, the uncluttered space, the scent of eucalypts, the colour of desert sands, the call of kookaburras or currawongs. Our nature is an important part of our essence: it gives our lives definition, context, character and a sense of place. But to a more marked extent, we are also re-shaping this land and its character, deliberately or inadvertently, conspicuously or imperceptibly. Much of this transformation has been beneficial to us, at least in the short term. But many of the changes that we have wrought have been detrimental – to us, to our descendants and to those ‘nature’s gifts’ that we have inherited. Globally, rapid increases in human populations, destruction and degradation of native habitats, and intensification of use of natural resources have caused marked and increasing loss of biodiversity over recent centuries. Much of this loss has been in countries with high human population density and relatively few resources to devote to environmental protection. However, notwithstanding our relatively small population in a large area, and our relative affluence, more species of plants (38 species) and mammals (30 species) have been made extinct over the last 200 years in Australia than for any other nation over this period.1 Our collective impact has been devastating, and disproportionately large. The known extinctions are an extreme manifestation of a more general pattern of decline in Australian biodiversity. Many species that were extremely abundant and widespread in Australia up until the fracture induced by European colonisation now exist as little more than traces, often reduced to meagre and declining populations still extant in but a small portion of their former ranges. Furthermore, the known casualties are probably but a small proportion of the actual losses: the full extent of biodiversity loss in Australia is difficult to decipher. Only about one quarter of Australian species have been discovered and described, and we have enough information to assess the conservation status of only a very small proportion of known species. We can imagine that such biodiversity loss is tangential, a winnowing of some effete species of little consequence or with little will to live. But many of the species that have disappeared on our watch had been present for hundreds of thousands – in some cases, millions – of years. They belonged here; they were part of the fabric of this land. Many were ostensibly remarkably successful. Many had important ecological roles, shaping and giving life to the landscape. These species’ losses represent just one tangible feature of a much more pervasive environmental dysfunction that we have crafted. In many areas, we have cleared the bush beyond sense or thresholds of ecological health. We have introduced to Australia a Pandora’s Box of foreign plants, animals and diseases: many are now uncontrollable; many are themselves capable of transforming our lands and waters, creating a hybrid and less special nature. Many of these introduced species now greatly outnumber and exert more ecological influence than native species.2 Inexpertly and with little feel for the land, we have caused marked changes in fire regimes, with consequential environmental repercussions. We have drained wetlands; diverted, channelled and dammed rivers; and extracted profligate amounts of water from these systems – such that many of our wetland and river systems are now unhealthy and barely functional. We have degraded even some of our most treasured natural and national icons, such as the Great Barrier Reef and Kakadu. Finlayson’s perception and perspective is important in that he recognised that Australian biodiversity loss was not restricted to that relatively small proportion of Australia subject to intensive development, but was instead extensive and insidious, with even those areas most remote from major settlements being severely affected: the ‘boundless plains’ have been subverted. The transformation and losses continue. The extinction rate of Australian species is unabated, with at least three endemic Australian animal species (two mammals and a lizard) becoming extinct since 2009. In much of Australia, there is an extinction debt as historic and current land use and vegetation loss have so compromised the population viability of many species that their decline to extinction in the next few decades is almost inexorable. Our attempts to conserve Australian biodiversity are insufficient, faltering and failing. Furthermore, our impact on the land will press harder as our population and resource consumption increase, and severe and rapid climate change will soon render much of our land inhospitable to those species that long belonged here. We suspect that most Australians do not realise that our experience of recent biodiversity loss is so exceptional in a global context. This lack of recognition is because many environmental changes have been gradational rather than acute; because we have decreasing familiarity with the pre-European state and increasing familiarity with transformed landscapes; because environmental changes to date have not yet substantially affected our livelihoods; because our increasingly urbanised and indoors lifestyle is distancing us from nature; and because Australia is a big country and we can readily (if mistakenly) presume that even if there are ecological problems here, then nature is thriving someplace else in the continent. These are mis-readings of the extent of environmental decay in Australia; and they mark a widespread lack of appreciation in our community of the detail of Australian nature. Even when the extent of loss is acknowledged, it is seen by many as a passive event: environmental losses have occurred, species have become extinct. But there is in fact clear cause and effect: in almost all cases our mode of living in, and what we have done to, this country has caused these losses. We can rationalise losses as the collateral damage that happened in the forging of a modern nation, as a justifiable consequence of our use of Australia’s natural resources. We can disassociate ourselves from the environmental decay around us as someone else’s fault – simply the historical legacy that we must accept now because previous generations cared too little for our environment. Or we can simply not notice or care about what happens to our nature. Indeed, as time passes, we are losing the ecological fingerprint of the land before European colonisation – that benchmark has shifted, and we lose our connection to the natural state, and increasingly regard the transformed state as the familiar norm. Our argument here is that those perceptions are selfish, myopic or delusional, and that we should instead craft and accept a moral foundation for living in, and being part of, this land; that it is timely now for our society to reconcile with our nature. Our land is diminished by the losses in its nature that were caused, and continue to be caused, by that misfit. Since European colonisation of Australia, we have imposed on this country land use, tenures and laws that are alien and inimical to its nature: we have tried to fit the land to the expectations of those of another era and another place. Our land is diminished by the losses in its nature that were caused, and continue to be caused, by that misfit. We have tarnished our heritage; made Australia less Australian. Demonstrably, we are not living sustainably. We do not yet fit comfortably into this land. To some extent, the decline in nature in Australia, the extent to which we accept such loss, and the magnitude and adequacy of the response we choose to make to constrain future losses, are issues that are simply subsets of global concerns. Biodiversity is in decline world-wide and its conservation in any nation is, in part, inextricably affected by global factors. Humanity’s increasing dominance and modification of this planet frames a fundamental ethical question relating to the extent to which we have a responsibility to care for other life, and a more self-interested concern about the extent to which the loss of nature will detrimentally affect our lives and those of our descendants. These issues are becoming less abstract and more acute as the rate of extinctions increases and the functionality of nature decreases. Threads of a morality relating to humanity’s relationship with nature have twined variably in the foreground or as insubstantial tangents across much of humanity’s diverse religions, philosophies and political systems. Many of these systems have viewed nature as simply a resource to be exploited. For example, the Australian philosopher John Passmore critically examined the history of western and Christian attitudes to nature in his seminal review Man’s responsibility for Nature, and unhappily concluded that the dominant thread was a long-established unconcern for other species or the natural environment, and that where there was some concern this was restricted largely to species that provided us with benefit.4 Such an uncaring attitude has led us to the modern era of the Anthropocene, a time marked by the retreat of nature and the unprecedented influence on the earth’s ecology of a single species. Without deliberate reflection, and thence considered change, we will go blithely onwards into this increasingly unnatural world. That pathway is unlikely to end well, and there will be many irredeemable losses on the journey. Perhaps the mainstream morality may be shifting, as evidenced for example by Pope Francis’ recent encyclical Laudato Si, which calls for a reconsideration of humanity’s relationship with nature, and urges us recognise its value and accept a responsibility to care for it. Without such a core moral foundation, any environmental legislation or government policy is likely to be impotent and inconsequential. It is reasonable that every individual species has a right to exist. Almost all Australian plant and animal species have been here far longer than have humans. All species are part of the essence of this place; collectively, they serve to make up what defines Australia. We can also take aesthetic pleasure and inspiration from the exquisite beauty and diversity of our natural surrounds: the wonder of nature enriches our lives. Practically also, we should care about the decline and loss of species because we are only dimly appreciative of the important ecological roles that many species play to maintain the integrity and productivity of our environment. A functional natural environment has myriad benefits, some economic, ranging from climate and water regulation to nutrient cycling, land stabilisation, food provision and recreational venues. Loss of species indicates, and is an early warning of, loss of resilience and functionality in ecological systems, and ultimately such decay is likely be to our long-term economic detriment. Over the long term and large scale, our society and economy will be weakened by escalating environmental dysfunction and strengthened by increasing environmental resilience and functionality. The decline and loss of species and the deterioration of ecological systems definitively demonstrates that we are not living sustainably. We are living as fools in a fool’s paradise if we think that such unsustainability is of little consequence. We are living as fools in a fool’s paradise if we think that such unsustainability is of little consequence. Such arguments for the conservation of biodiversity are universal. But, there is also a particular Australian context that we should recognise. For Indigenous Australians in particular, many wildlife species have deep spiritual resonance as part of a cosmology that connects us to all things and that places people as a part of the environment rather than apart from that environment. Amongst many Indigenous people, there is a profound sense of connection to and responsibility for country, an obligation and desire to maintain a chain of environmental management that has extended across countless generations – an ache of anguish when that connection is severed. Our society more broadly should learn from and respect that affinity for, and sense of obligation to, our country. We should accept an inter-generational responsibility to pass on to our descendants a world that is as productive, diverse and beautiful as that which we have inherited. 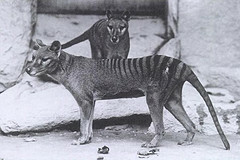 Because of the self-interest, disinterest or folly of previous generations, our generation will never see alive that most marvellous of Australian animals, the thylacine; nor any other of the many Australian species that are now extinct. Our generation is the poorer for such loss. It will be our fault if we similarly diminish the natural legacy that we should bequeath to future generations. We argue that it is time to take stock of our impacts, and recognise that we should have a moral obligation to live in this country in a manner that does not cause the extinction of other species. Our nature will be marginalised and continue to diminish if we do not explicitly accept responsibility for it. Many environmental problems in Australia are now pervasive and deep-rooted; trends for biodiversity decline, deterioration and extinction are deeply etched; our responses in the form of environmental policies, legislation and resourcing are demonstrably inadequate. The acceptance of responsibility for nature involves a fundamental shift in our legal and values system. Common law, rooted in a moral framework that largely discounts nature, recognises a duty of care but only to the person or property of another: there is no comparable duty to the natural environment that sustains us. We all – citizens, corporations, governments – should recognise a duty of care to avoid harm to nature or more positively to manage for its long term protection.6 Specifying such a duty in law, as part of a suite of measures to forestall ongoing decline and extinction, would help to focus attention and to define the standards of environmental management expected of all landholders, public and private. Australian governments, and society broadly, have long evaded responsibility for the care of our country. Australian governments, and society broadly, have long evaded responsibility for the care of our country. Our constitution, negotiated in the 1890s, lists the powers of the Australian government. All else remains the province of the states and, other than fisheries in Australian waters beyond territorial limits, nature was never a candidate for express commonwealth power. But constitutions evolve and in 1974 the Australian government was presented with the landmark National Estate Report.7 Although focusing specifically on those special parts of Australia deemed to be of outstanding natural significance, the report’s findings are relevant to biodiversity more broadly. The report provided a stark assessment of previous complacency towards and subordination of our nature. The Australian government, it said, had inherited a National Estate that had been ‘downgraded, disregarded and neglected’. It observed that successive Australian governments since federation had shown no ongoing interest in conservation, that resources allocated varied greatly between states, that the closer preservation control came to the local level the more sectional development interests intervened. The Inquiry concluded unequivocally that some of the important and unavoidable arguments between conservation and development were best resolved nationally and that the Australian government had the power to act and hence that it had a clear national duty to take the lead in conserving the National Estate. In the years following, successive governments enacted laws for environmental assessment (1974), wildlife protection (1982), world heritage (1983) and endangered species (1992) amongst others, asserting the Commonwealth’s interest in and at least partial responsibility for these matters. But it was a responsibility shared with the states. When, in 1999, the Commonwealth swept away the preceding laws, the Environment Protection and Biodiversity Conservation Act which replaced them stepped back from accepting responsibility and indeed opened the way to handing it entirely to the states. Its objective is merely to promote biodiversity conservation and, in areas outside the direct control of the Commonwealth, it deals only with limited matters of so-called ‘national’ significance. The reality is that, 40 years after the National Estate inquiry, responsibility for nature remains unsettled. The states have not ceded it and the Australian government has not accepted it. Caught between, our care for nature is hostage to changing political fortunes, lacks clear goals and is starved of resources. No-one is accountable. …nature is our shared heritage and the Australian government is responsible and should be held accountable for its fate. From the coming together of six self-governing colonies in 1901, Australia has successfully fashioned itself into a single polity governing an entire continent and associated islands. Australians expect the Australian government to act for national wellbeing and to meet our international obligations. What could not be envisaged or contemplated by the colonies more than 100 years ago must be accepted now – that nature is our shared heritage and that the Australian government is responsible and should be held accountable for its fate. That simple proposition has far-reaching consequences. We could and perhaps should aim to enshrine in the constitution a statement acknowledging that nature is an intrinsic and special defining feature of Australia, and that our society will strive to maintain that nature. Such a constitutional inclusion would be desirable; however, even without such a basis, Australian government can and should act with authority and more adequate environmental responsibility. There is ample constitutional power to legislate and accept as our collective responsibility the protection of nature for its own sake and for its contribution to the wellbeing of Australians now and in the future. Developing and operationalising a commitment to the long-term maintenance of nature, scoping out and implementing an adequate conservation reserve system, ingraining an Indigenous ranger program and set of Indigenous Protected Areas – these require strategic and large scale and long-term planning and long-term commitment of resources. Many of the factors that threaten Australian biodiversity, notably such as changed fire regimes, feral animals, weeds, and unsustainable use of water, are now deeply entrenched and occur across much of Australia. The effective control of these threats will require decades of consistently and collaboratively applied effort over extensive areas. Such enduring policy and management is not well done in Australia, where many programs are subject to fickle adjustments by short-term governments, with expectations of rapid and readily-claimable success. Conservation is an inter-generational concern, and we need political foresight coupled with national legislation, resources and independent institutions to manage it at such scales. Much existing environmental policy is ineffective and narrow. The national biodiversity strategy8 is fundamentally weak, for example making no explicit commitment to seeking to prevent extinction of Australian species, or to prevent the loss of ecological communities or environmental processes. Preparedness to accept extinction invites the deployment of conservation triage, the process that seeks to deny (resourcing or management) attention to threatened species considered to be too unimportant or too expensive to retain, and investing instead the finite available resources to other species. This is a pernicious approach because it sanctions extinction; and, once an allowed extinction precedent has been set, governments and our community are likely to accept incrementally increasing rates of loss. It is also a compromised argument because the guillotine blade is set not by what resourcing is needed to achieve a worthwhile conservation outcome, but rather by what resources have been made available. It is a market-driven approach that would allow governments to ‘optimise’ conservation outcomes to whatever level of resourcing they deign to allocate, most likely allowing ever diminishing resources to be contributed. It is appropriate that conservation is implemented in an efficient manner and that there is an explicit consideration of the costs of required conservation actions relative to the benefit achieved, but it does not follow from these premises that some species should be consigned to extinction. We should accept neither the prospect of designed extinction nor of extinction by neglect. Triage operates on the fulcrum of a finite (and insufficient) availability of resources. But how government, society, industry and individuals allocate funding across the spectrum of issues that affect our lives is a values judgement. Our argument is that if we value our nature appropriately, and commit to maintaining it, then we need to raise the paltry tithe that governments allocate to the environment; and to encourage business, communities and individuals to contribute to the care of our nature more substantially. For many industries and other developments, this will involve developing fairer and more effective procedures for paying for the use of natural resources. For individuals and society, it is about moving from a vague and passive appreciation of nature to a commitment to caring for it. Providing adequately for nature, complementary to a duty of care, is a core responsibility of government and should be financed as such. It should not depend on commodification and ‘marketisation’ of so-called ‘ecosystem services’ which anchors nature into the very economic system which is destroying it. It should not depend on exploitation whether through logging native forests, grazing national parks or permitting ever more intrusive developments in wild places. It should not rely on the flawed proposition that ‘offsets’, conjured into existence from a finite and diminishing nature, make up for the certain loss of ecosystems targeted for destruction. The cornerstone of biodiversity conservation practice in Australia and internationally is the conservation reserve system, incorporating private reserves, Indigenous Protected Areas and national parks and other reserves managed by government conservation agencies. The terrestrial Australian reserve system totals about 15-17% of the Australian land mass, and has been developed more or less strategically to seek to represent the full suite of Australian environments. 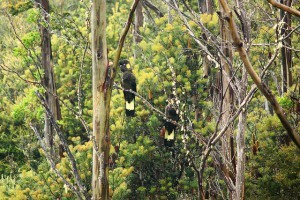 Its development is appropriately celebrated as a major achievement and a mechanism for conserving Australia’s nature. However, while the current national conservation reserve strategy10 is based on seeking a comprehensive representation of all Australian environments, it has no comparable objective about seeking to ensure that all Australian species are included within the conservation reserve system. Consequently, the distributions of many species occur only, and insecurely, in lands outside reserves. Furthermore, this reserve system has developed with little attention to adequacy – the proportion of land that needs to be conserved in order to provide for the long-term population viability of species, for the needs of highly dispersive species, and for the maintenance of ecological processes. Instead, its design has been determined largely by national and international policies that provide pragmatically imposed targets for the extent of the reserve system, based on the proportion of lands governments are prepared to relinquish from other land uses. Previous such reservation targets of 10-12%, and the current internationally recognised target of 17%,11 of land area within reserves are now considered grossly inadequate to provide for the long-term viability of most species. Many recent analyses have concluded instead that the conservation reserve system will need to occupy at least 50% of land area if it is to retain species over the long term.12 In the extensive conservation reserve networks representing the Australian Alps and south-western Tasmania, Australia has examples of such adequate representation of major environments. It will need many comparable large and large-scale reserves, particularly in the Australian outback, if the reserve system is to succeed in its role as the foundation stone of Australia’s conservation effort. The role of the private sector in Australia’s conservation effort is manifest very explicitly in the rapid proliferation of non-government conservation reserves. There are now about 5000 such reserves encompassing nearly 90,000 km2 (>1 % of Australia’s land area), managed by numerous conservation groups.13 Many are pivotal for the conservation of threatened species and other components of biodiversity; and most are extremely well managed. These dedicated areas demonstrate that all lands can contribute substantially to a national conservation effort, and a range of incentives and other instruments may be required to maximise this potential. The current system of private conservation reserves represents an admirable and very significant philanthropic investment in Australian nature. However, we suspect that the total and per capita amount of investment by the private sector in conservation by Australians is still substantially less than that of the USA and many other countries. An even more rapid recent increase is in the extent of Indigenous ranger schemes and Indigenous Protected Areas (‘IPAs’: Aboriginal lands for which the owners have entered into an agreement with the Australian government to manage for conservation). IPAs now cover an area of over 500,000 km2 (nearly 7% of Australia) and include many of Australia’s largest and most important conservation reserves. The Indigenous ranger schemes and IPAs are delivering substantial conservation benefits, but also extremely important economic, employment, cultural, educational and health benefits in otherwise severely disadvantaged remote Indigenous communities, and have provided a sense of purpose and social cohesion to many individuals and communities.14 They represent one of the very few successes in recent Indigenous policy development, and have provided one of the few mechanisms that have contributed significantly to the otherwise elusive ‘Closing the Gap’ targets to redress Indigenous disadvantage. But their funding foundation is flimsy and short-term, and susceptible to the political whims of alternating governments. These programs need to be anchored into long-term funding, and their multiple benefits celebrated. The conservation reserve system needs very marked expansion. But it also needs to be better resourced and managed. Many of Australia’s most important conservation reserves are failing to maintain their most valuable species.15 Some are too small, some are under-resourced or have no consistent and dependable funding base, some have no clear or well-founded management direction, some are managed mainly for non-conservation purposes, many have no monitoring of their values or of the responses to management, and many are subject to threats that continually recur from surrounding lands or are pervasive. The Australian conservation reserve system needs to be treated more appropriately by governments as a critical asset needing ongoing nurturance, consonant with the recognition of its role as the foundation for the long-term future of Australian nature, and the country’s resilience. The recent development (and apparent forced retreat) of Australia’s marine protected area system is an instructive case of environmental policy captured by – well, corroded by – short-term government cycles and vested interests. At least on paper, Australia nearly established one of the world’s largest and most comprehensive marine reserve systems. Notwithstanding some reasonable misgivings about the small extent of its exclusive conservation (‘no-take’) zones, its initial implementation was a notable success. However, a current review may wind back that success and debase the conservation protection offered to the residue. Of course, reserves are only part of the answer. More than 80% of Australia lies outside the formal reserve system and interest in or commitment to biodiversity conservation in this majority area is thin. Current land allocation and use is largely a legacy of nineteenth century ignorance and exploitation. Those who constructed Australia’s land tenure system had little appreciation of the limits of the land, or little care for its natural and innate values. This mismatch and debilitating legacy is most evident in the continuing dedication of about 40% of the Australian outback (and more than 90% of the extent of some regions) to pastoral lease, under which the leaseholder is obliged to manage the land primarily for sheep or cattle, in some jurisdictions with obligations to run at least a number of stock determined by the government agricultural department. Much of this land use is uneconomical; the enduring obligation to devote the lands to a single purpose is restrictive and prevents needed diversification; and the detrimental impacts of pastoralism on biodiversity are magnified over vast areas. The comparable nineteenth century tenure of ‘state forest’ over a large proportion of Australia’s public native forests and woodlands is equally archaic. The era of mining native forests for wood or pulp should be finished, ‘state forest’ abandoned and the land so designated re-assigned to tenures that properly reflect its value for wildlife, water, recreation and climate protection. 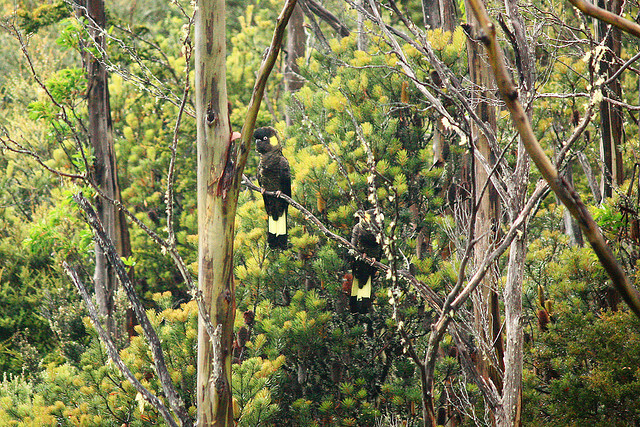 Across the continent, individuals and groups are pioneering new landscape scale projects to protect and restore nature across vast tracts of public and private land – from Gondwana Link in south-western Australia to the Great Eastern Ranges project in eastern Australia and the Tasmanian Midlandscapes project. Legally backed private land conservation covenants form part of these projects but there is no purpose-made protection. 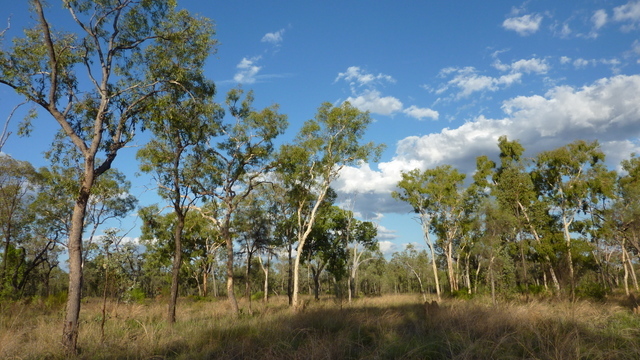 The vulnerability even of recognised reserves is illustrated by the recent decision of the Queensland government to approve the destruction of Bimblebox Nature Reserve in favour of coal-mining. We should explore the feasibility of national level ‘nature overlays’ covering both public and private land, voluntarily entered into but subject thereafter to specified obligations to protect and restore nature by landholders and by others proposing actions that would cause damage. 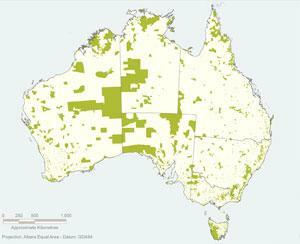 Regions with a ‘nature overlay’ would attract preferential funding and other assistance from government. With an ambition ultimately to cover the entire continent, they would over time raise standards and allow periodic re-definition of what constitutes a duty of care for nature. Biodiversity conservation is a pervasive issue, and needs attention across all aspects of our society. Resources, research, timely emergency-response action, information, complementary legislation such as for biosecurity all play their part. A fundamental long-term consideration relates to the human imprint on our country. It is an iron law of resource use that the more of us there are, the higher our per capita consumption, and the more we take from nature, then the less likely it will be that nature will be sustained. We live on a continent that is largely infertile and our water resources are mostly fickle and scarce. We need to make some carefully considered choices about the trajectory and thresholds of our resource consumption and population size. Biodiversity loss in Australia demonstrates that we are living unsustainably, but this will inevitably become markedly worse as our population substantially increases. It is a conjurer’s trick to pretend otherwise. Compounding these concerns are the multiple impacts of rapid and severe climate change. The future may bring a more splendid conservation reserve system, far more investment in conservation management, and more empathy for nature, but such improvements will count for little if Australian climates become inhospitable for most Australian species. 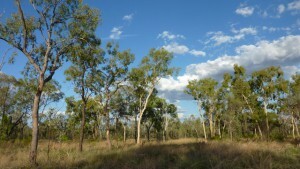 The most recent and objective modelling predicts a dire outlook for much of Australia’s biodiversity – for example, based on a moderate climate change scenario, about half of all vertebrate species in the Outback are likely to disappear within the next 70 years, and most sites that have provided refuge to species in past periods of inhospitable climates will no longer be sufficient to retain their biodiversity.16 There are many immediate conservation challenges that must be addressed now, but the looming problems will be even more insoluble unless we can avert them. Our Australian life will become far poorer unless we make a substantial effort now to reduce the magnitude of climate change. Nature conservation today lacks both the structures and the information for accountability. Acute environmental disasters, such as single major pollution events may sometimes prompt investigations and inquiries to determine responsibility and blame, and thence to draw lessons for policy and law that seek to reduce the likelihood of further mishap. But much of Australia’s environmental dysfunction involves a complex series of historical and recent actions or inactions, many operating interactively or cumulatively, and attribution of causality and responsibility may be very difficult to determine. But we must attempt it. Recent extinctions of Australian species have occurred with impunity – no agency or individual has been found to be responsible or culpable, and the lack of any inquiry has made it difficult to determine the factors that caused the management ineffectiveness, or institutional weaknesses, or to learn lessons from the failures. At the very least, an independent process akin to a coronial investigation should be triggered if a species becomes critically endangered or extinct. Extinction cannot be no-one’s fault. Furthermore, information about the resources deployed in looking after nature is largely invisible because the statistical classifications used for industry and employment are outdated. We need clearer, more acute and higher profile reporting about the state and trends of our nature, with such reporting treated as a measure of our nation’s state and progress in a manner comparable to, and as important as, mainstream social, health and economic indicators. In part, such information, presented as a high profile marker of Australia’s well-being, will help to rekindle Australians interest in, knowledge of, and connection to, nature. An overarching theme of this essay is that we should more appreciate and connect to our country and its nature. This is an easy wish, but discordant with current trends. Notwithstanding the vast expanse of our land, we have become one of the world’s most urbanised societies and – as for much of the world generally – a diminishing proportion of our population is involved in outdoor and rural activities. We are growing apart from our nature. We recognise that this will not be an easy problem to solve, and that solutions will not come quickly. There is much that our society more generally should learn from Indigenous Australians about respect for and living in this land; indeed, we should seek such understanding as part of a broader reconciliation. We are remarkably privileged – our land abounds in nature’s gifts, of beauty rich and rare. We need to more love our country, and pass those gifts undiminished to our descendants.